1) Get a Sunday Newspaper Subscription — If you live in a large city, you’ll more than likely get a good stack of coupons each Sunday in your newspaper. If you can purchase a newspaper subscription for $1.50 per week or less, it’s often worth it to do so as your savings will likely be ten times that–if not more. Plus, you’ll have the coupons delivered straight to your home every week, as soon as they are available. DiscountedNewspapers.com offers the best prices for most newspaper subscriptions that I’ve found. I highly suggest checking out their prices before you order a subscription elsewhere. 3) Order from Coupon-Clipping Services — There are a number of different websites which offer individual coupons for sale. These are usually priced around $0.05-$0.15 each, depending upon their value and demand. You’ll have to pay shipping, in most cases, so you’ll want to order enough to make it worth the cost of shipping. A few sites I’d recommend would be The Coupon Clippers and Manufacturer’s Coupons. If you’re wanting to order whole inserts, Coupons and Things by Dede offers these. No, I never buy. My rule of thumb is free, and free only when it comes to coupons. Especially now that so many are available for free on the internet, plus a lot of folks are willing to give you their leftover paper for coupons as well. I get coupons mostly from Ebay and http://www.theqhunter.com They have great prices and I don’t have to buy 3 of an item to qualify getting that coupon. They also offer free shipping for anything over $5, which is easy to get! I’ve bought individual coupons from http://www.couponclippingcrew.com or on Ebay… and I’ve only done it for a coupon that I know I’ll use. Mostly, though I use what I get from the newspapers around here. I am one of those who get very few coupons in my area 🙁 so I do have to order them. I like to order from http://www.mycouponhunter.com She has them for cheap with no min. order and the shipping is only 45 cents! http://www.thecouponmaster.com is another good one. I will add that you have to be careful about buying off of ebay. I bought some last year of the $5 off Huggies. There were 6 coupons and three were originals and the other three were copies. I contacted the seller and she promptly returned my money and took her other listings down. I’ve also seen several people with negative feedback because of copied coupons, from Victoria’s Secret, Kohl’s, the newspaper, basically anywhere. So just be careful who you buy from. We have horrible coupons in our area but we have a local website http://www.fmcheapskate.blogspot.com she recommened getting the early sunday star tribune for $.75 it has sunday coupons and I can get it at the store for cheaper than a subscription. It has saved me in not having to print so many coupons. I order from http://www.thecouponclippers.com and am very happy with their selection and service. Shipping is cheap, too! You are so right! Several weeks ago i was able to spend about $6 on coupons from Ebay, but I stocked up on tortillas, vanilla extract, sea salt grinders, and pepper grinders. And if that wasn’t enough, they were free plus overage after I used all the coupons I bought. I’m definitely willing to buy coupons if the deal is great! On one trip I’ll grab a Stayfree and use the $2 off coupon – there, I just made $2 because I’m paying 99 cents plus tax for the item and I’m getting $3 in RR’s back. On my next trip I grab a bag of the flossers, pay $1.50 and get $2 back, but I pay with the $3 RR from the Stayfree (and I buy something else I need, like a Reese’s Dark PB Cup) and I just keep playing this “back and forth” game – getting it all for free or nearly free each time I stop. The best website to show you how this all works is http://www.iheartwags.com. Hope it’s ok to post another website here, but that is a really great site where the owner posts exactly what she buys, what coupons she uses, how much she pays, etc. I want to weigh in on this too- I do buy coupons from clipping services. I like http://www.thecouponmaster.com. He sometimes has blinkies too. I have had the best luck with buying my local sunday paper for 1.75. I usually buy the one that carries the P&G Brand inserts and that goes a long way in savings for buying toiletries. I also have done very well printing coupons at smartsource, redplum and coupons.com. Many companies have facebook groups as well offering printable coupons simply for becoming a fan! My best advice however, is not to get lured into buying something just because you have a coupon. The best scenario is to buy something on sale that you need and can use with a coupon. She is great and is willing to work with you on everything. I have been ordering from her since 2008. I get coupons ahead of time for all of my major coupon sales. I also check out http://www.afullcup.com to find out about the sales early. no, i was talking about a service here in jacksonville, florida. a friend of mine told me about it, looked it up, it’s like $30 a month for them to send you a complete grocery list plus printed out online coupons. 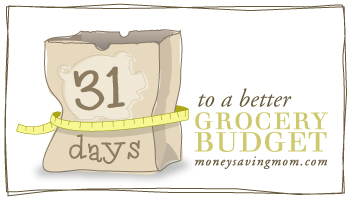 i looked up the grocery game, also, and yes it is cheaper, however still not worth it to me. i have my mom and my sister clipping coupons and telling me the best deals at their stores, and i spend my time on the computer to put it all together. i think coming home with $50 worth of stuff from wags for around $5-$10 every week is proof enough that i do just fine without paying for someone else’s services. don’t get me wrong, that’s all fine and dandy if y’all do it, just not me!